The Atmos Studio Rig Attachment is a cutting-edge attachment for use with 510-threaded mods that offers a unique variety of heating chambers for either dry material or waxy concentrates. 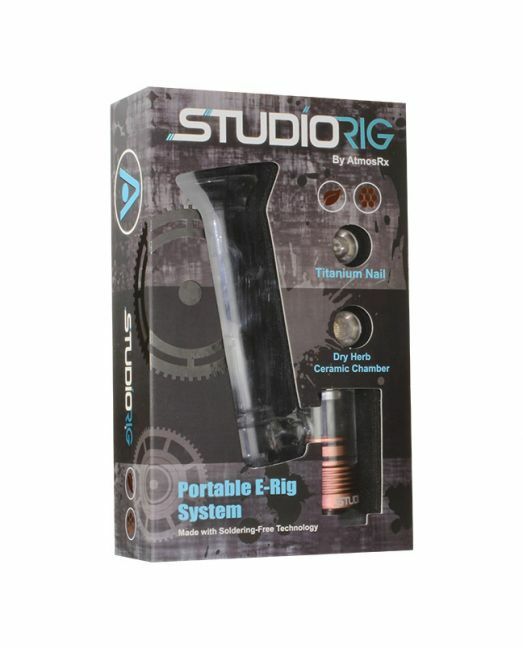 This portable rig features a 25mm chamber connector base that threads onto just about any 510-threaded mod that can then be attached with either of the included heating chambers for the ultimate vape experience on the go. 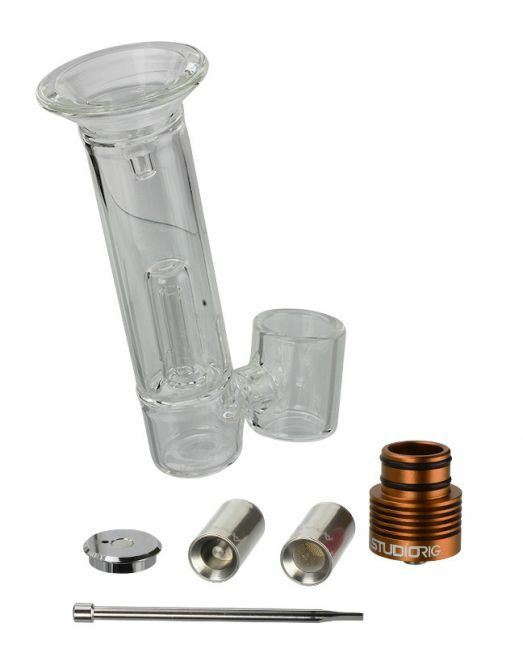 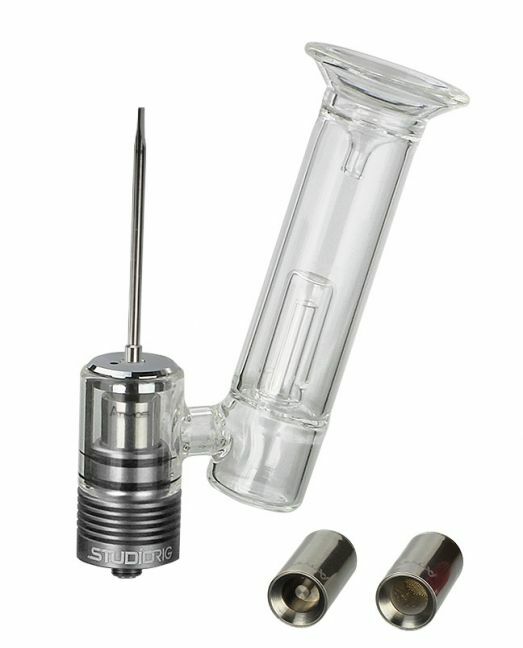 A 0.4 ohm high-grade titanium nail chamber offers extremely high heat retention, providing the perfect chamber to thoroughly and efficiently vaporize concentrates and waxy essential oils whilst traveling. If that isn't enough, AtmosRX also includes a glass water tool attachment that will filtrate and cool your vapor as it passes through the percolator, creating an extremely smooth pull that is 100% free of impurities. 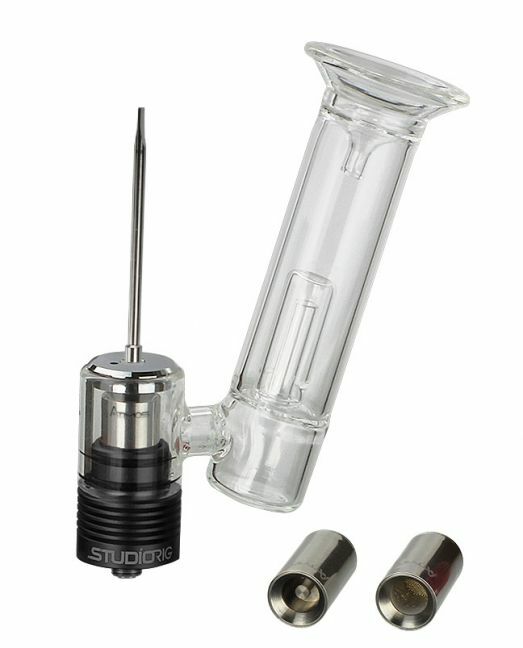 A magnetic AtmosRX packing tool sits securely in place on the top of the rig, leaving you with a handy sidekick that is always ready to aid you with filling your chamber, whether it may be blends or concentrates. The Atmos Studio Rig Attachment System offers the utmost versatility and convenience for vaping on the go, treat yourself to one today you will not be disappointed. 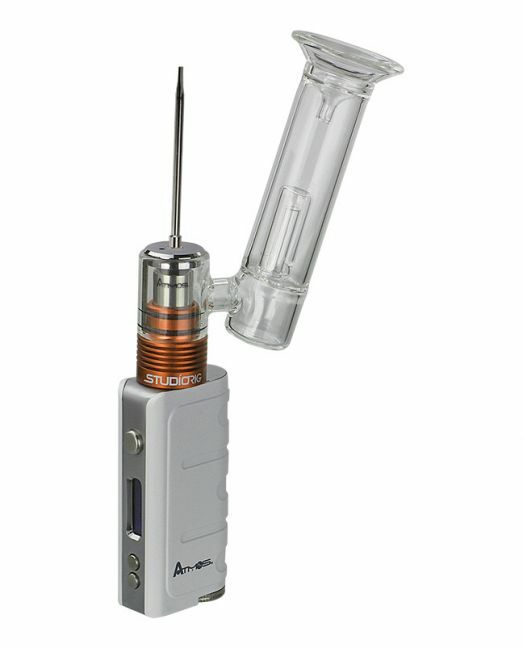 Please note the AtmosRX Box Mod pictured above does not come included with this kit. 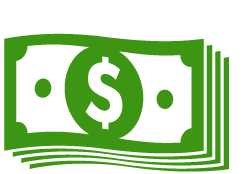 You will need to purchase a sufficient 510-threaded mod or battery if you do not already own one.